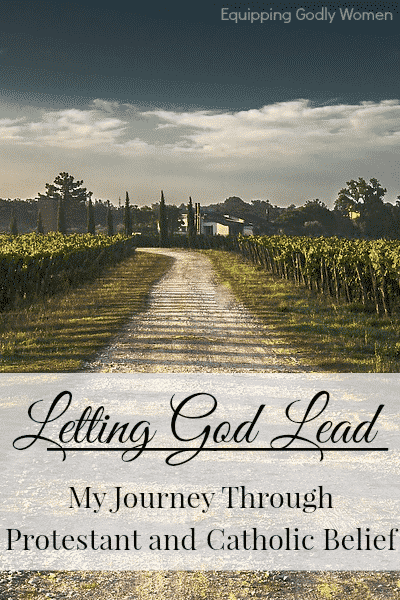 This post is post 10 in a series entitled Letting God Lead: My Journey Through Protestant and Catholic Beliefs. While you certainly can read this post by itself, I highly encourage you to check out the rest of the series as well. Find more about this series and a list of all of posts here. *This post contains affiliate links. According to official Catholic teaching, Purgatory is a state of being wherein those who are definitely going to Heaven are purified on their way there (since nothing “unclean” can enter Heaven). We do not EARN our salvation in Purgatory–we already have it because of Christ’s work on the cross. Purgatory is just a state of sanctification/purification where any remaining attachments we have to sin are broken. What Does the Church Teach About Purgatory? God has given us free will. We use this free will every day as we choose to follow or reject God. Once we die, however, we are held accountable for how we choose to live our lives. Did we seek every day to follow Jesus to the best of our ability, even when it was hard? Or did we just call ourselves Christians without actually being one? After examining our lives, God will judge whether we were true followers of His or not. Those people who did seek a closer relationship with Him will be allowed to have that relationship with Him in Heaven. Those people who chose not to have a relationship with Him will be allowed not to in Hell. God doesn’t force someone to be in Heaven who doesn’t want to be there. However, AFTER we are granted salvation and we are 100 percent for sure going there, Catholics believe we undergo a sort of purification process to get us ready for Heaven. After all, nothing unclean can enter Heaven, and no matter how hard we try, most of us are going to leave the earth pretty soiled by sin. Purgatory removes this sin and attachment to sin we still have so we can be fit for Heaven. Aside from the most practical reason–which is that most Protestants know very little about what the Catholic Church actually teaches about Purgatory and why–Protestants typically give one or more of these three reasons as to why they don’t believe: 1. Needing purgatory assumes that Christ’s work on the Cross isn’t sufficient, 2. it offers a second chance at salvation and 3. it isn’t in the Bible. But as you’ll see in a minute, these three objections aren’t really accurate. Protestants will be happy to know that official Catholic doctrine also teaches that Christ’s work on the cross is 100 perfect sufficient for our salvation. Like I discussed in the previous series post “Is Faith Alone Enough,” Catholics do NOT believe we have any power to save ourselves through works. Purgatory in no way makes us any more or less “saved.” It doesn’t affect our salvation even an iota. Instead, it is a process we undergo because we are already saved, but we still need to be purified for Heaven. At this point, many Protestants would counter: “Well, Jesus’s blood covers our sins and He makes us holy.” To which Catholics would respond: “Yes it does. BUT a sinful person covered in holy blood is still a sinful person and unclean at the core.” Purgatory is the process by which God makes us holy, sinfree and spotless through and through. Once again, this is not accurate. The Catholic Church teaches that we receive our judgement sentence when we die and there are no second chances. At judgement time, we are handed our sentence: either Hell or Heaven (passing through Purgatory on the way). Judgement happens first, then Purgatory. Not the other way around. He then took up a collection among all his soldiers, amounting to two thousand silver drachmas, which he sent to Jerusalem to provide for an expiatory sacrifice. In doing this he acted in a very excellent and noble way, inasmuch as he had the resurrection in mind; for if he were not expecting the fallen to rise again, it would have been superfluous and foolish to pray for the dead. But if he did this with a view to the splendid reward that awaits those who had gone to rest in godliness, it was a holy and pious thought. “For no other foundation can any one lay than that which is laid, which is Jesus Christ. Now if any one builds on the foundation with gold, silver, precious stones, wood, hay, stubble each mans work will become manifest; for the Day will disclose it, because it will be revealed with fire, and the fire will test what sort of work each one has done. If the work which any man has built on the foundation survives, he will receive a reward. If any mans work is burned up, he will suffer loss, though he himself will be saved, but only as through fire” (1 Corinthians 3:11-15). In addition to all of the Scripture verses above, which collectively seem to suggest that there is a process of purification that happens after death, we can also find evidence for Purgatory in History as well. Prayers for the dead are recorded in the catacombs (the tombs of the earliest Christians). Some of the earliest non-Scriptural Christian writings also refer to the practice of praying for the dead. Catholics don’t like change. (Sorry, it’s true.) So if the practice or belief had sprung up one day out of nowhere, there would have been some kind of Protest or debate. None is recorded. Purgatory is not a Catholic invention. Orthodox Jews today still recite prayers for the dead (the Mourner’s Kaddish) for eleven months after a loved one dies. The Eastern Orthodox Church, the Roman Catholic Church and the Jewish people all believe it–just not Protestants. So, in other words, the Catholic Church didn’t just make this doctrine up out of nowhere, they didn’t invent it, and they aren’t just using it to scare people into the church. They believe it because it is a longstanding belief that has been handed down both from the earliest Christians (and the Jews before them). Okay, so if we accept that Purgatory exists, and we accept that we get more/less Purgatory depending on how much we need to be purified before we can get into Heaven, it only makes sense that we would want to purify ourselves as much as possible now so that we have less time in Purgatory later. Enter the Catholic Doctrine of indulgences. Indulgences may be best explained with an analogy: Say one of my children does something naughty (lying, hitting, stealing, etc) and then they come to me and ask for my forgiveness. I love my children, so I would forgive them. BUT I’m still handing out consequences. Maybe if they were truly, truly sorry and completely torn up, I’d skip the consequence. But otherwise, they are probably going to get one. Not because I don’t love them, but to help them learn and grow and not do it again. Indulgences work the same way. When Catholics go to confession, they are 100 percent forgiven for their sins BUT they still have consequences. Indulgences are spiritual acts of discipline that Catholics do for sins they have already been forgiven for in order to relieve some of the punishment for or attachment to that sin. Indulgences make us better Christians, a little more holy, a little more Christ-like, etc. They are simply good spiritual things most Christians should want to do or are already doing anyways. Now yes, there was a brief time in history when things got out of hand and a select few priests were selling indulgences. BUT just because a few people did a very bad thing does not mean that the official church teaching behind it was incorrect. It was the people who were wrong–not the teaching. And you’ll be happy to know that due to that scandal, the Church has since forbidden charitable giving as a way of obtaining indulgences. What Does the Catholic Church Teach About Indulgences? Mass and the sacraments are THE best sources of sanctification and purification, but indulgences can help too. Completing indulgences better disposes Christians to take part in Mass and the sacraments. You can receive a plenary or partial indulgence. Plenary indulgences remove all temporal punishment due to sin. Partial just removes some. Your heart and spiritual formation matter way more than the action itself. Indulgences must also be accompanied by confession, the Eucharist and a prayer for the Pope’s Intentions (typically one Our Father and one Hail Mary–but it doesn’t have to be). So you can’t just collect them like postage stamps. You actually have to DO stuff and get holier. Not just rattle off a few prayers real fast. Real indulgences taken from The Handbook of Indulgences: Norms and Grants. **Remember, these must also be accompanied by confession, the Eucharist and a prayer for the Pope’s Intentions. So there is more to all of these than just doing the simple action. “The Christian faithful obtain a partial indulgence when they make devout use of a devotional object (such as a crucifix or cross, a rosary, a scapular, or a medal) which has been rightly blessed by any priest or deacon. The pope also has the authority to issue new indulgences at any time. For example, when he granted an indulgence for participants in World Youth Day 2013. What do you believe happens to us after we die? What are you doing today to prepare for it? Do you believe we even need to prepare? Wow this is some extensive information! Very thorough and I appreciate your opinions and insight. Thank you for sharing! Thanks, Jasmine! Hopefully it answered any/all questions and misconceptions you may have. Let me know if it didn’t! My heart breaks when I read this. I truly don’t understand how anyone who has read the Scriptures and understands what Christ did for us at the Cross when He said, “it is finished” could ever fall into the errors of catholicism. Being a fourth generation catholic whose Aunt was Mother Superior, schooled in all the doctrines, praying to all the saints because I didn’t feel worthy to talk directly to my Heavenly Father, filled with guilt, fear, and even terror at facing purgatory, which I was told by my priests was a literal place of burning and torment, believing God was so unjust to grant indulgences to rich people that poor people couldn’t afford was just part of the confusion and turmoil of my catholic faith. And then I heard the gospel. Righteousness through faith! I nearly ran to the alter not even knowing what an altar call was. I placed my faith in Christ’s finished work on the cross for me, and I knew I was saved. The only Spirit came in! How could you not know? He changed my life forever. Now, God opened the Scriptures to me. Now, God began teaching me, things I couldn’t get before like how to forgive my enemy. How to yield to the Spirit and confess wrongs so as not to break my fellowship with My Wonderful Shepherd who loved me and gave Himself for me. God began answering my prayers in a way that I can only call miraculous. There was none of this when I was a catholic though I went to church every Sunday, went every day during lent, took communion, and confessed every Saturday. But I never had victory over sin. Not until the Holy Spirit came in at me real conversion. 17 years as a catholic and all my holiness was on the outside, my works trying to get to heaven, to do penance, etc. But in that little Baptist church where the scriptures were preached faithfully, I learned what God said, not traditions of men. I am so thankful that I had the privilege of raising our children in the nurture and admonition of the Lord. Each one had the opportunity to read the Bible for themselves at an early age, and know the Lord Jesus for themselves. Each has walked with God and it is the delight of my soul. 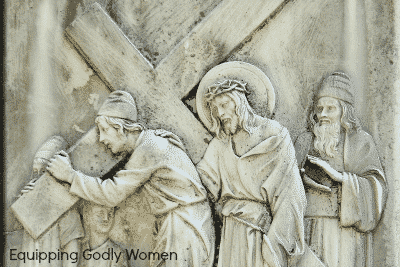 Most of my catholic family has converted over the years as they have seen how different my life is from their ‘trying to do good works to earn God’s favor’ to trusting God to walk by faith in His finished work on the cross. Peace, His Presence with me on a daily basis, His comfort in sorrow, like when my Daddy went to heaven and so much more. I had none of this as a catholic. Yes, I loved the music, the pomp and circumstance, but I would not trade that for one moment of walking with God in the power of the Holy Spirit. That is the greatest treasure this side of heaven, and there is no catholic priest that can teach you how to have that. Any small baptist church worth their salt can teach you in a one hour meeting how you can get saved and begin a walk of faith. I’m just sorry I was 33 years old before I found the Truth. It all started when our daughter was born. I cried out to God, “what do I teach this precious baby girl?” After going to this little baptist church, and hearing the message of salvation, and then the Pastor graciously teaching my husband and I how to read the Scriptures for ourselves, one day I was reading John and read the words of John 17. Sanctify them through thy Word, thy Word is Truth.” I knew I had my answer and I knew I had it from God almighty. He has guided me in His Word faithfully ever since. Because faithfulness and goodness is part of His holy character. He leads me in paths of righteousness for His names sake. So I totally understand what you’re saying, but I think what I’d encourage you to keep in mind is that there is a BIG difference between “official church doctrine” and the way that one individual (or multiple churches) actually do things. 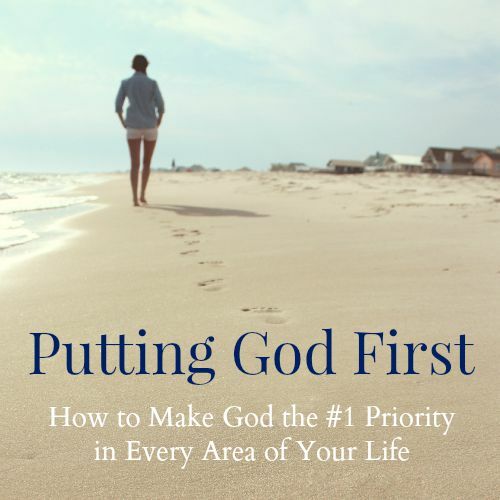 For me, I grew up in a small Baptist church that I felt was very legalistic. Now, I go to a Catholic Church where they preach all the time about really making your faith real and making it a priority. You can always find good individual and bad individual churches no matter what denomination you’re in. That’s why, in this blog series, I’ve really tried not to look at what individual people do (because we all mess things up), but what does the official church doctrine actually teach and does it line up with the Bible? Very informative article! Well written and thought out. Thanks, Cheri! Hopefully it answered any/all questions and misconceptions you may have. Let me know if it didn’t! I think you meant to say that we can receive *partial* indulgences several times a day. Especially since two lines early you said we can only receive a plenary indulgence once a day. 🙂 Thanks for all your hard work! This is a great series! Oops! Good catch! I just changed it. Thank you! The requirement of confession is not normally a “same-day” requirement. The typical requirement is within 8 days before or after. Receiving the Eucharist is usually required on the same day. Is this the same for all indulgences, or does it vary? Great article…very well researched and well articulated! When I was in Rome…our pilgrimage chaplain noticed a sign at a particular church(now I can’t remember which one!) that said it had a “perpetual plenary indulgence” attached to it. I’m still trying to figure out what that means….but can’t seem to find it. I’m not even sure if it was the word “perpetual” or something else like it. One more thing….I think there are plenary indulgences attached to certain novenas…like the Divine Mercy Novena coming up? Or is that some other kind of promises or graces? Some novenas and other prayer devotions do carry plenary indulgences. Divine Mercy is one example. If you pray the novena and fulfill the requirements for the indulgence, you receive a plenary indulgence on Divine Mercy Sunday. This is the only time a plenary indulgence can be received for the novena. Many confraternities, such as the Angelic Warfare Confraternity, grant plenary indulgences on the date you join and also important feast days (For AWC it’s the feast of St. Thomas Aquinas). There are also devotions such as Total Consecration to Mary which carry indulgences on certain feasts as well. You have done another great job researching and writing about a very tough/controversial topic in the Catholic Church. 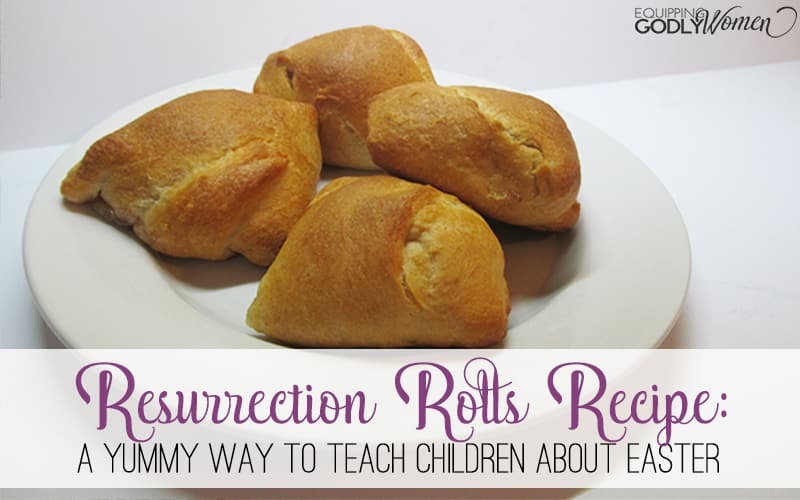 As a cradle Catholic, I have learned so much from all your posts in this series and I appreciate all the time and thought that you have put into each topic. It seems that no matter how many times purgatory and indulgences are explained (which you do very well in this post) I still struggle completely understand these teachings, but that’s where more research and faith comes in and it’s why I love being Catholic…there’s ALWAYS something new to learn! Thank you for sharing your journey with us! Thanks, Tracy 🙂 It’s definitely not an easy topic to understand, especially since it isn’t explicit in the Bible and I’m sure the Catholic Church is probably a little nervous to talk about it, with the bad reputation it’s received! I say it each time, but as always, this was a well-written article, and was very interesting to me since the modern Catholic understanding of indulgences is rather foreign to my way of thinking. At the moment, I have two primary concerns with current Catholic teachings on indulgences. The first regards the way in which indulgences tie into the idea of punishment for sin. Brittany, you write that “plenary indulgences remove all temporal punishment due to sin. Partial just removes some.” The reason many Protestants see this as infringing on Christ’s work is that we hold that Christ took the spiritual punishment for our sins in full (perhaps a thorough discussion of what Catholics mean by “temporal punishment” would be of use here). If we confess our sins and repent of them while relying on Christ, then we can have every confidence that we are forgiven. That doesn’t mean there aren’t still both physical and spiritual consequences for sin, but the term “punishment” would need to be cautiously used in reference to those consequences. My second concern about the Catholic concept of indulgences is the manner in which they are conducted. In short, it seems unnecessarily complicated. The New Testament indicates that the proper response to sin is confession and repentance. True repentance is accompanied by changes in behavior, but those changes don’t necessarily require things like three-day spiritual retreats or participation in World Youth Day 2013 or use of devotional items. I know that Catholics view Scripture as being by itself insufficient for defining doctrine, but, even if that insufficiency were accurate, it would seem strange that the New Testament doesn’t speak more specifically of indulgences. In the New Testament, spiritual growth is possible through normal spiritual disciplines such as prayer, confession, etc. I’m unsure why we would suggest that certain events like World Youth Day 2013 would have any more significance than any normal part of the Christian life (I admit I may not understand Catholic teaching well enough here). I’m also unsure how an indulgence removes the punishment for a sin if it doesn’t specifically address the sin involved. In other words, if one’s sin were having wronged a neighbor, use of a devotional object won’t correct the problem more than reconciliation with the neighbor would. Showing devotion to Christ, of course, helps with spiritual growth, which in turns helps us fight sin in our lives, but again, I just don’t see where a specific indulgence helps with this anymore than normal Christian living. I hope I haven’t rambled again in making these comments, and I absolutely don’t won’t to give offence to Catholics reading this article. I greatly respect the depth of Catholic doctrine; I just thought I would outline some of the reasons a Protestant layperson like myself is reluctant to embrace Catholic ideas on indulgences. @DCal90: You bring up excellent topics, two in particular. 1. The “temporal punishment due for sin” seems unnecessary if Christ received the punishment on the Cross. First, remember that Catholic theology (and all Christian theology until the schism of the Reformation) understood that JUSTIFICATION and SANCTIFICATION are two separate and necessary things. Justification is what makes us “just” and earns us a place as a child of God. We cannot justify ourselves. Christ’s life and atoning death make it possible. By embracing all of human life and death, he bridges that division caused by the Fall and makes it possible for humanity to be justified, simply by accepting it (through Baptism, ordinarily) But Sanctification is also necessary – the word means “to make holy.” Our charity, prayer and devotional life, self-sacrifices, etc., all make us more Christ-like, more holy through and through. This is the purification of the soul in action, conforming it to Christ little by little. A person who accepts Christ’s atonement may be justified – forgiven – but if he has done nothing to help his neighbor or grow close to God, he’ll need more conforming to Christ. This is Purgatory. A justified Christian is bound for heaven, and to the extent he has or had NOT lived in conformity to Christ (sanctification, made pure and holy), he might need some purification. A helpful analogy: a child is told “don’t play baseball in the back yard, you might break a window.” But he does anyway, and breaks a window. Dad is furious, but the child is sincerely contrite. Dad will forgive the child, but then says, “son, you still have to pay for the damages.” Child must now mow lawns to earn the money to pay for the window. But the child must also spend more time with Dad, because if he doesn’t really know Dad, he won’t fully appreciate the rules and limitations Dad expects him to live by. The more the child suffers to pay for the window, and the more effort he makes to know, understand, and love his rule-giving father, the BETTER a son he becomes, the less likely he is to break rules in the future, and the more likely he is to have a deep long-lasting (eternal) relationship with his father. I like to use the word “consequences” for sin, rather than “temporal punishment.” Sin breaks our bond, but it also does damage to ourselves, our world, and the Church. Those consequences may be suffered EVEN AFTER ONE IS FORGIVEN. That’s a separation of JUSTIFICATION and SANCTIFICATION, forgiveness and purification. Lastly, the seeming complexity of “earning” indulgences is related to the Christ-given authority of the Church to govern (“whatever you bind on earth…etc”). Just like the Church MUST have the authority to determine what is a valid Baptism, or Marriage, or Confirmation, etc (otherwise, Christ would have created a Church of anarchy! ), the Church must also have the authority to determine how these Divine Graces, won for us by Jesus Christ, are “dispensed” among the faithful. Remember that when we hear the Church, we hear Christ (Luke 10:16). Thank you, Alex, for your reply. It was very kind of you to respond. I’ve posted a reply to you Brittany and Bryan below. To address your first concern: You wrote: “If we confess our sins and repent of them while relying on Christ, then we can have every confidence that we are forgiven. That doesn’t mean there aren’t still both physical and spiritual consequences for sin” Catholics believe the exact same thing. We are forgiven and we are assured salvation. But we don’t escape all of the consequences, either now as the direct result of what we did and later in the form of spiritual bonds that we have formed. And I think Protestants would agree. If you were an alcoholic, for example, you could confess and be forgiven, but you still have that stronghold. Purgatory is meant to get rid of all of those strongholds and purify us to make us holy through and through before we reach Heaven. Not to make us any more or less forgiven or assured of salvation, but to get rid of the strongholds we’ve formed. As to your second concern: I think, when you go to confession, the Catholic priest will (ask or require–I’m not sure which) you to do some sort of penance that does relate. For example, if you confessed to stealing, he would tell you to go donate that money back to a charity (He can’t make you give it back to the same person because he can’t make you admit what you did to anyone else.) As for these indulgences, the priest doesn’t give them specifically to you as a punishment or requirement. Instead, Catholics have the option to do whichever they want whenever they want of their own free will. And I don’t know if they blot out punishment for a specific sin, so you have to have that sin in mind? 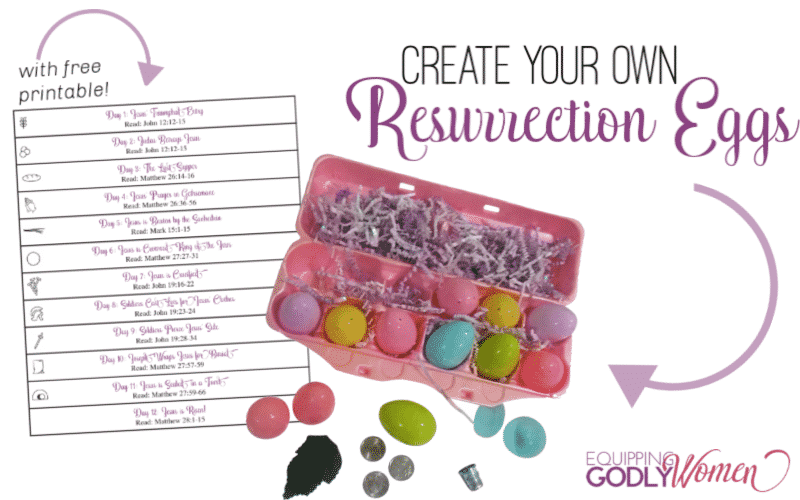 Or if you just do them in general for “character formation,” because I can definitely see how they could help you grow spiritually so you would sin less and be holier. Great questions though! I always appreciate hearing both sides as I sort through the issues myself! Where have you been? I’ve been waiting all week for you to ask something I can respond to! LOL! I think others have already done a great job explaining, but you know I love our discussions so I’m going to put my two cents in. To your first point: I have a love-hate relationship with the word punishment in this case partially for the reason you mentioned. Purgatory isn’t supposed to be punishment, rather it is meant to purge from us all remaining attachment to sin. But at the same time it is a form of punishment the same as a parent making a child pay for a broken window. The punishment doesn’t negate the forgiveness, but it does bring about a change. If I had ever broken something playing ball in the house as a kid and had to pay for it, I’d have a totally different understanding of money and how much things cost and how hard you have to work for them. Since it’s harder than I would’ve wanted to work as a kid, I’d quit playing ball in the house where I could break something I’d have to pay for. Why indulgences aren’t written about or alluded to in the New Testament I can’t explain, but as you said I don’t have to worry about that as a Catholic. To your second point: I think you may be misunderstanding the purpose of indulgences and purgatory. In your example, there is a specific wrong which has harmed your relationship with a neighbor. Purgatory and indulgences are about correcting the wrong done to God. Every time we sin, regardless of the sin, we offend God and damage our relationship with Him. One part of purgatory is to perfectly repair this damage. Viewing purgatory in that light, it makes perfect sense for indulgences to be granted for actions which draw us closer to God and seek to heal our broken relationship. Great further explanation. Thank you! Thanks, Bryan. I’ve now responded to Alex, Brittany and you in a comment below. I’m sorry it’s taken me so long to comment and reply. I greatly enjoy our discussions, and think they do me good spiritually. I’ve been largely silent over the last week or so because I had a career opportunity that came up about which I had to make a decision. It took a lot of my mental and emotional energy, but I think I’ve largely completed that decision-making process. Hope it was good news! Thanks! It was good news; I was just torn about whether I should take the opportunity. Well, that’s good. What did you decide? Just saw your question here, Brittany. I’ve tentatively decided to take the opportunity, which means a career change and further higher education. I don’t like change, but the idea in this case has begun to be exciting to me, and my wife and friends are supportive too. Thanks for inquiring! Since I have trouble reading from the screen of my computer, I like to print articles like this that are easier for me to read. I am not able to print this. Can you help? There should be a way to print right from your computer browser. On Chrome, there are three little horizontal lines right under the red X. Click them, then hit print. On Internet Explorer, you hit the gear, then print. And hitting cntl + P usually works too. Hope that helps! Bravo! Brittany, for your objective presentation of the facts and your honest consideration of them. Brittany, Alex and Bryan, thanks so much for your kind and thoughtful replies to my comments. I appreciate them, and, as always, they help me understand Catholic positions better. I’m Protestant and not Catholic, but I do respect Catholic ideas. As I believe Alex noted, some of the disagreements between Catholics and Protestants on issues like those in this thread boil down to definitions of sanctification. Protestants understand sanctification differently and that, along with other aspects of our understanding of Scripture, causes some of us to question the necessity of purgatory. Definitions of sanctification and purgatory aside though, part of my concern about the concept of indulgences has to do with their purpose, and each of you were helpful in explaining the Catholic position to me. One aspect of what I was trying to get at in my original comment on this thread is that if indulgences are merely a means of spiritual growth and sanctification and are not really a means of punishment, I’m unsure why they are designed as they are. If I read the New Testament, I see a path to spiritual growth outlined with basic acts such as studying Scripture, showing love, praying, confessing sin, baptism, etc. 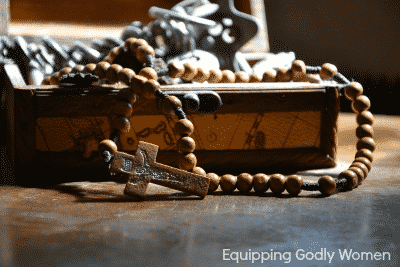 There don’t seem to be formulas as specific as using a devotional object, going on a three-day spiritual retreat, or participating in a World Youth Day, or anything along those lines. I’m unsure why adding these as special means of obtaining indulgences would be needed. However, as I think was noted in the thread of comments, some of the activities associated with indulgences (such as spiritual retreats) are themselves obviously good means of spiritual growth. Looking at the subject from that angle however, I don’t see why something like a three-day spiritual retreat would be rewarded with a partial indulgence when a one-day or two-day retreat wouldn’t. And I don’t see why World Youth Day 2013 would garner a special indulgence when many other spiritually-important church events wouldn’t. The basic activities outlined in the New Testament seem sufficient for spiritual growth without adding any other rules. I know we’ll disagree on the need for my concerns, but I appreciate you all (especially Brittany as owner of this blog) letting me express my concerns. DCal, you’re a gracious and sincere questioner, and a searcher for truth! I think Brittany’s whole series has inspired so many to learn, and ponder. 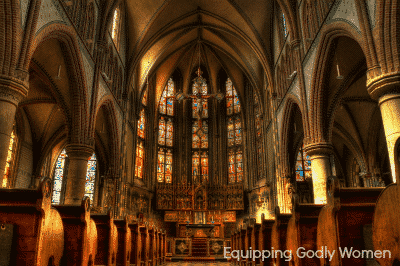 The truth which seems to be frustrating you a little (as it did to me, a Methodist before coming home to the Catholic faith) has to do with “ecclesiology” – what is “the Church?” If those Christians in union with each other are the “Body of Christ” then the Church is, in a special way, Jesus Christ himself. He speaks to us through the Church. The very scriptures we live by come to us through the Church. The sacraments (the rivers of grace which Jesus Christ pours out on us) are dispensed by the Church. So, when the members sin (and we all do), we do harm to the whole Body. 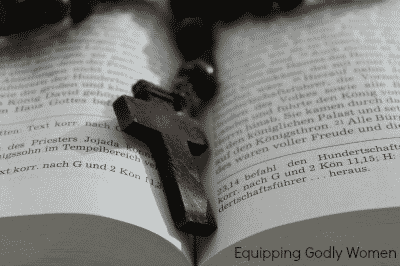 Even my own private sins harm the Body – Christ’s Body. So the whole body contributes to the healing of the parts. Our penances, sacrifices, devotions, retreats, do more than bring us personally closer to Christ, they build up and strengthen other parts of the body, just like working my abs is also good for my heart. Jesus, in his (literally) infinite wisdom, gave the Church – ONE Church (because he only founded one Church) – the authority to speak and act for him in this life. He invested her with the Holy Spirit to guarantee her integrity, and promised that she would never fail. Since sin harms the Church, the Church must administer ways to heal herself and her members. This is the authority of “binding and loosing.” The Church doesn’t grant an indulgence (reparation, “repair” for the Body) for attending World Youth Day because its spelled out in the Bible. She grants it because she is divinely appointed to do so. I don’t eat meat on Fridays of Lent because the Church says so. Priests in the Roman tradition don’t marry because the Church says so. This authority to “bind and loose” precedes the Bible, and is what gave us the Bible, otherwise we would have no “canon” (rule) of what books belong in it and what books don’t belong. The same Church which gave us the canon of Scripture also gives us other “rules” for living and gaining the effects of grace – some very broad (like prayer, scripture study), some very specific (like plenary indulgences for specific acts). We don’t need Biblical evidence to authenticate what the Bishops of the Catholic Church, in union with the Pope/Bishop of Rome (the “Magisterium”) declare to be true. In the same way, the Christians in Jerusalem did not need Biblical evidence to authenticate the truth that Gentile Christians did not need to follow Mosaic law (Acts 15). The Apostle Peter, in union with James and the other apostles, declared it to be true. There was a deep and comforting peace which came to me when I submitted myself to the Church of St. Peter, the original apostles, and those apostles who have succeeded them to this day (including my local bishop). I pray that you’ll continue searching and questioning, and seeking the truth about the Church. Study the early Church, the writings of the Church Fathers, and the development of the canon of the Bible. I think you’ll find it a beautiful and enlightening journey. God bless you during the upcoming Easter season! Love this line: “This authority to “bind and loose” precedes the Bible, and is what gave us the Bible, otherwise we would have no “canon” (rule) of what books belong in it and what books don’t belong” That realization was a huge one for me, and one that many Protestants never think about. I think one of your difficulties comes from thinking of indulgences as punishments. 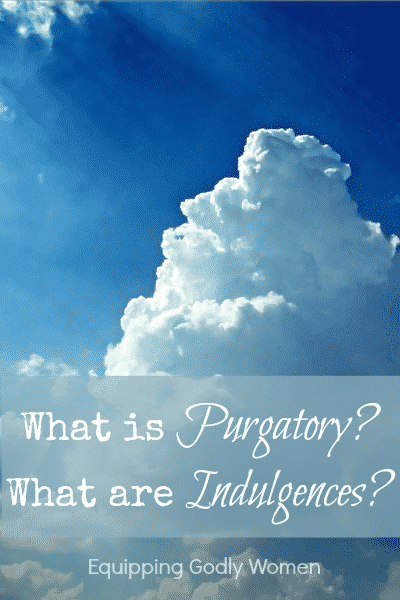 Purgatory is certainly a form of punishment, but indulgences are not meant that way. There are meant as ways to avoid punishment. Let’s say I break my parents’ window. Rather than making me pay to replace it they do it for me, but we agree I’ll do some extra chores around the house or something to make up for it. As for why some events like World Youth Day and not others, I can’t answer with any authority. I suspect it has to do with encouraging participation in these events which aren’t a normal part of Catholic life. They require extra sacrifices to participate. That would also explain why a three-day retreat can obtain an indulgence, but not a one day. 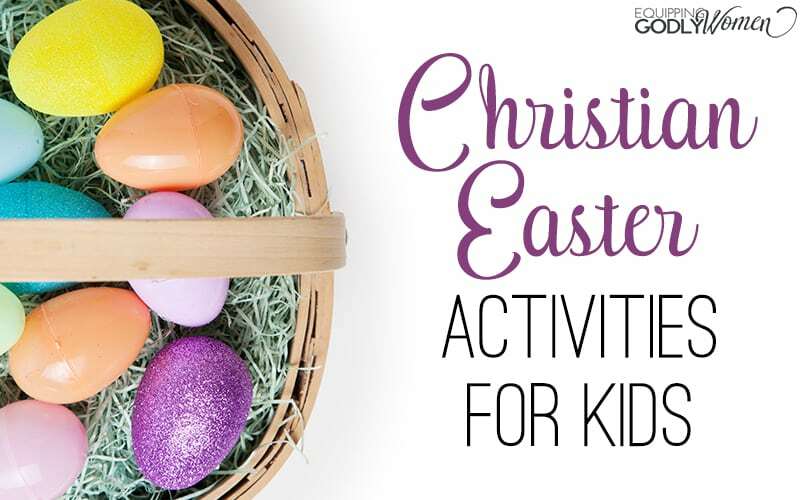 As to why not a two day, maybe three is significant because it’s how long Christ was in the tomb? Again, these are just guesses and I have no idea why this and not that. Thanks, Bryan. 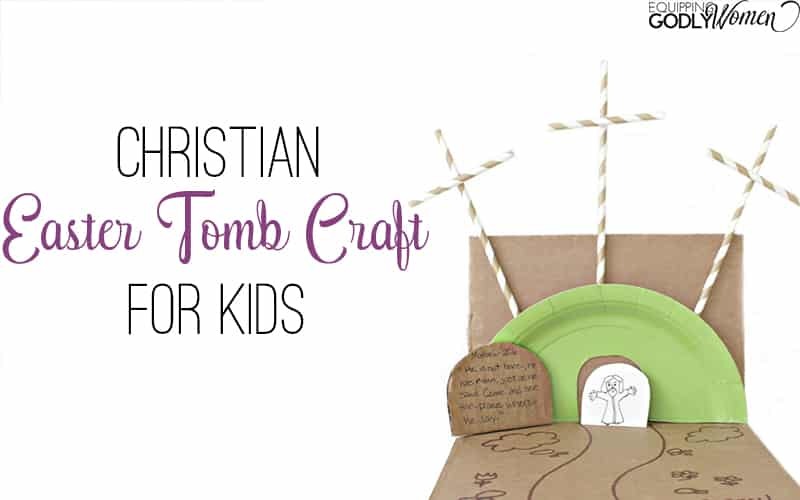 I also wondered about whether the three days were related to Christ being in the tomb. Not personally knowing much about indulgences, that sounds like a plausible guess to me. I agree that I wasn’t sure at first to what extent I should regard indulgences as punishments, but the explanations from you and others help me better see the modern Catholic position. However, my problem with regarding indulgences simply as a means of spiritual growth/sanctification is that I don’t see why anything that contributes to spiritual growth wouldn’t be counted as an indulgence. In other words, every Christian spiritual retreat, every World Youth Day, etc., would count to some extent. I know that we have different views of what sanctification means, but even so, it seems the New Testament outlines a broad category of ways to grow spiritually–through prayer, confession of sin, repentance, corporate worship, and others. Some activities will help spiritual growth more than others, but anything that falls under the basic categories should contribute to some extent and there would be no need to designate certain ones as granting indulgences when other similar ones don’t. I know we’ll probably have to agree to disagree, but I appreciate you discussing the matter with me in as much detail as you have. Ah, you’ve nailed it! Thank you for patiently reading all our posts, you have just reasoned it out beautifully. In fact, ALL of those spiritual pursuits you bring up – whether its bible study, prayer, other spiritual retreats totally unrelated to “official indulgences,” penance, corporate worship – do very much contribute, and do most certainly accomplish exactly what indulgences accomplish, that is, personal sanctification, growth in holiness, that might render one’s “purgation” unnecessary. Again, it comes down to the Holy nature of the Church, instituted by Christ and guaranteed by the Holy Spirit, which I know I can trust in official declarations. An indulgence is simply an official, guaranteed remission of “temporal punishment for sin” (or consequences, or suffering if you prefer). I can go about my life and never acquire an indulgence, and probably remit all of those consequences through worthy spiritual acts. That guarantee and Church stamp of approval, however, is really nice. 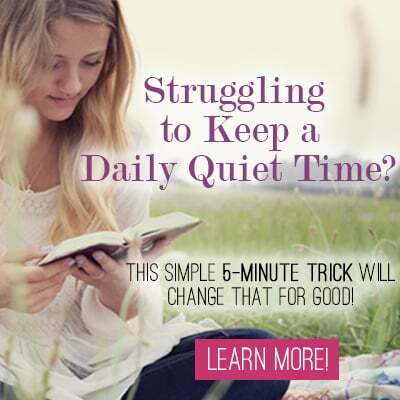 It takes out some of the guesswork and brings great peace of mind. A couple more verses that help to show Purgatory. Revelation 20:14, Hades is thrown into hell, so it is something different from hell, and is not heaven nor earth. 1 Peter 3:19, Jesus went to preach to the spirits in “prison” on Holy Saturday while He was dead. Those in hell can’t be saved, and those in Heaven are already saved, so who was He preaching to and where are they? Luke 16, Abraham’s Bosom. This is not heaven, not hell, and not earth. So it must be something else. Matthew 5:26 “…until you have paid the last penny”. Jesus isn’t speaking about earthly prisons here. 2 Samuel 12: King David confesses his sin to the prophet Nathan (just like Confession) and his sin is forgiven. But notice something VERY important. David still must suffer punishment AFTER his sin is forgiven. Oh my…being raised Catholic, I am 61 now and born again. It is sad. There is no purgatory, no indulgences, and Mary was worshiped. Priests did forgive sin we were taught. Apparently over the years the Catholic church “changed” their wording again as more and more people left the catholic teaching. Get a real Bible a Geneva or KJV. Read it. Ask God to show you His truth. It is not found in the Catholic teaching. No harm meant here just truth. There’s just so much confusion isn’t there? I’m not sure about purgatory or indulgences personally, but the rest of my opinions from this series have actually come from reading the Bible for myself. Hello ma’am Joan, I’m glad you had the courage to tell the truth , former Catholic here, once was lost but now I’m found, was blind but now I see, Praise the Lord..before my conversion I’ve akel God to reveal to me the truth faithfully He did, when I first learned about the gospel , it was foreign to Me, I got confused and was shocked , my entire life I have never taught about gospel of grace , all I thought that my goodworks will earn myself to heaven. I’m born again..I have no religion , I have a personal relationship with Jesus . What Jesus did on the cross is all sufficient to cover all the sins of the world, sadly catholics strongly believe in purgatory which is a BIG lie, it diminishes the finished work of Christ on the cross, we are justified through faith alone , when we put our faith in Jesus for our salvation alone His rightiousness is imputed in each believer.God sees Jesus’ rightiousness in me as a perfect holy adopted child of God, not because I deserve it but simply because I believe in the His son’s death , burial and resurrection , my faith is counted as rightiousness suited for heaven, justification and sanctification are two different things, justification is by grace through faith alone , sanctification is a process in which God does the changes in believer’s characters and attitudes to conform them into His son’s ..it is true in my experience God changed me from the inside out, I started to notice changes in my life,in my behavior, I began to see things things in God’s view point , sins become the things I don’t wanna do anymore..notice I do not try to be good, it’s God who changes me .through the work of the holy spirit , He enables me to obey , love Him as I should and to do the things He ask me to do (of course not perfectly)when I disobey He disciples me like a Father who loves His children .I know I’m going to heaven no matter what, when I stand before God on the Judgmen Day, I have nothing to boast any goodworks( the good works I do , it’s Actually God who’s doing them through me) I did but His Grace and unconditional love ..it’s all about what Jesus did , not what we do or will do..He gets all the glory and honor..because of His grace given to me” a wicked vile sinner , motivates me to follow and obey Him out of love and gratitude towards Him..yes I still do sin, as long as I live in this carnal body I will never be perfect until God calls me home.my body is dead because of sin but my spirit is alive because of Jesus, I’m saved and forgiven for all eternity.. hope this brings enlightenment..God is so awesome…rest in His grace everyone. There is no purgatory or indulgences ..ask God for the truth yourself, He surely will grant it..be blessed!